How is Christmas less than 5 days away!?! That's crazy! I'm so excited! I finally got the last of my Christmas shopping done this weekend - everywhere was crazy packed and busy but you could definitely feel the Christmas spirit! 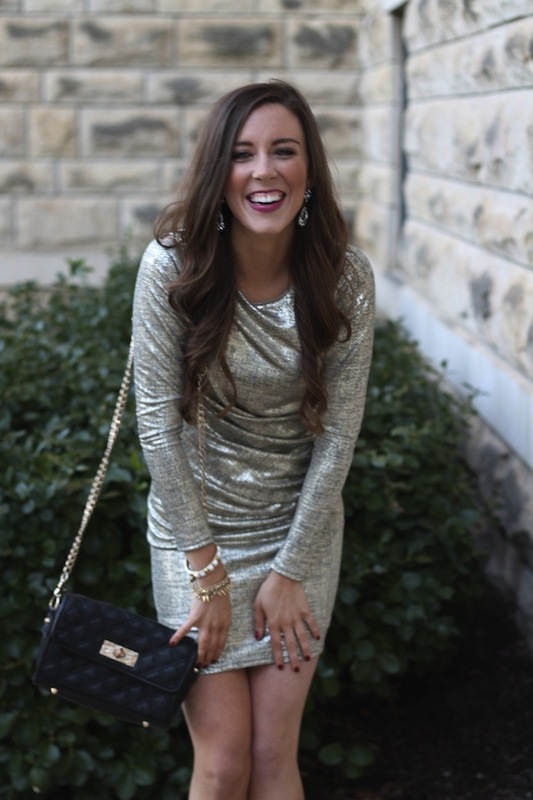 Anyways, today I'm talking about ringing in the New Year with a fun, sparkly little number from Lulu's! 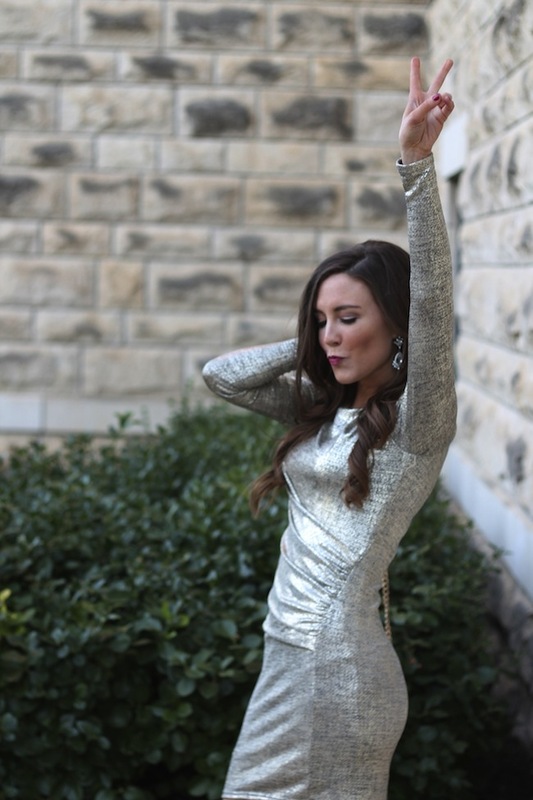 This dress was under $50 and is perfect to wear to any fun parties on New Years Eve! I chose a long-sleeved dress because I always get cold, so this way I stay a little bit more warm, and I opted for suede booties instead of heels, to keep the outfit more comfortable too! 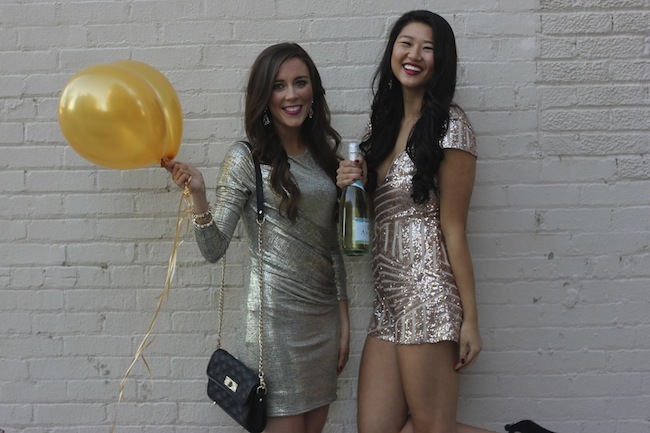 Lulu's has lots of great options for New Years - so many sparkling, sequined dresses here! 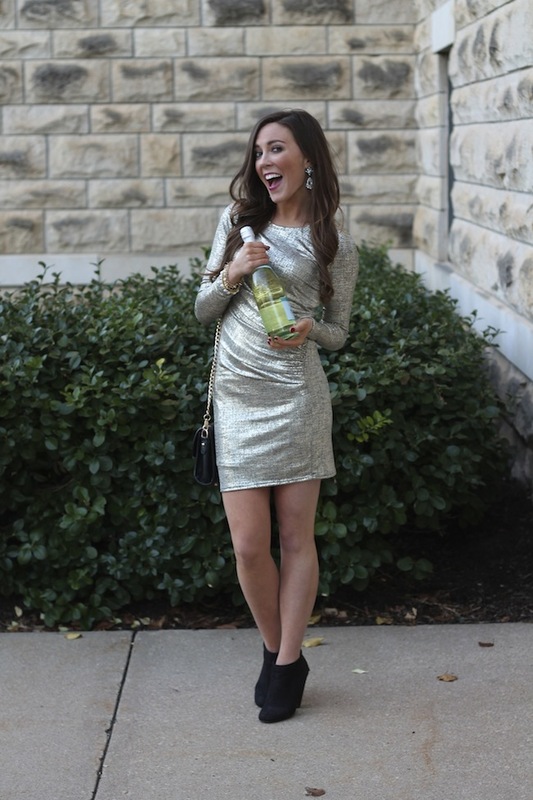 Cheers to easy online shopping and celebrating the beginning of 2016 in style!